Adoption of IoT, the way it has been expanding in recent years, can and will sustain at least for some time, irrespective of lack of standards in the industry, says Rajarshi Banerjee, Head of Customer Experience & Innovation, AMEA at ABB Global Industries and Services Pvt Ltd. In an interview with EFY bureau, he opines that as different standards are being developed at the same time, standardisation with a general view will take time to mature. He also speaks on a variety of subjects ranging from key technologies influencing the IoT to security of IoT solutions, government’s role in IoT adoption and major industries driving IoT demand. 2. Cyber Security (With whom to communicate, what to communicate, who else is listening, are we receiving the information which was actually sent): It is now becoming increasingly evident, even to the layman, that security is an issue for mass scale IoT adoption – physical, socio political, military, economic – across the entire enterprise and network landscape. So cyber security measures, which unfortunately still are rather nascent, have to be quickly beefed up and implemented all across the landscape. The catch here is the usability and experience of cyber security. It should not be so unusable in terms of UX or costs that users are tempted to bypass it by creating exceptions. And of course, every individual and enterprise has very legitimate demand for their own privacy aspects, which no cyber security measures can breach. Thus, the need of the hour is a sustainable, useable, affordable cyber security protocol that can be mass deployed and rigorously monitored. 3. Artificial Intelligence [AI] (What to do with the data, how to make sense out of it): This is the third important aspect that we need to think of. IoT sensorises and connects millions of devices across the landscape and each one of them generates terra bytes of data. Now the questions arise – what we are going to do with this humongous amount of data, how the adoption of the measures and software-driven solutions on top of them will be going to objectively and tangibly improve the current state of affairs, contribute to improvements of operations and services, and finally provide the returns on investment (RoI). The answers to these questions will ultimately decide till when the IoT boom will last or when this will burst as another pre-matured bubble. My personal take, it would be cellular-based solutions. NB-IoT is developed by 3GPP to enable a wide range of cellular devices and services. The type of technologies supported by mobile handset might get better coverage because of mass availability. Other communication will require another infrastructure set up and a new set of devices. The penetration of Bluetooth with Mobile handset is a pointer. I don’t believe that IoT adoption has been in any way impacted by having or lack of any standards. But as we have different standards developing at the same time, standardisation with a general view will take time to mature. However, IoT adoption is still happening. The challenge a manufacturer now faces is which standard to support. This will be there as there is no one-size-fits-all solution. We need to first understand what we want to achieve through a particular product or solution, then narrow down to the choice of different standards, eventually leading to a global standard. However, I would also like to mention here that typically whenever a technology is mass standardised, the speed of innovation and evolution slows down, eventually leading to obsolescence. 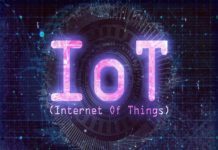 Adoption of IoT, the way it has been expanding in recent years, can and will sustain at least for some time, irrespective of lack of standards. Let us accept the fact that India has been one of the fastest adopters of mass IoT deployment in the last decade or so. This pervades all aspects of our lives and societies. Aadhaar, and every service linked to it, is perhaps the world’s largest IoT deployment, touching almost all the 1.3 billion citizens of the country. The new generation of Indians do not know properly about the personal banking, because they have been initiated to net banking from day one. The e-wallets and e-business in India are among the fastest growing in the world. Today, every part of a journey from one corner of the country to another can be cashless and significantly paperless as we have IoT adoption for payments, transport, ticketing, etc. IoT has redefined education, with Indians becoming one of the biggest adopters and beneficiaries of e-education portals; IoT is being increasingly adopted for agriculture; and all this is complemented by AI adoption across industries, infrastructures and utilities. In my view, India has one of the richest IoT adoption ecosystems that can become the hub of developing digital industries solutions for the world. India already is the home of technology centers for majority of the large IoT players of the world. These centers, including ABB’s, are regularly contributing to and creating IPs for various connected technology solutions. Of course, yes but we have to keep in mind the maintainability aspect. If we classify the IoT solutions as made up of segments like data accumulation and data analysing, in many industries, the emphasis would be on data accumulation using various hardware or software combinations. When the data accumulation reaches a threshold level (depending on industry, regulations, etc), then the analysis will play a stronger part. AI and ML will show better results at this stage. Q. What’s your opinion on the state of security available for IoT solutions? How do you see the evolution from here on w.r.t threats and counter-measures? I am always optimistic. At least people in the industry are aware of the requirements. The challenge is with the small, low-cost footprints – more specifically, the feasibility of incorporating high-end security features with small footprint. A product has to be designed considering these aspects. Security is and will be an evolving process. Security analytics will play an important role. Security is not about a destination, it’s all about journey. There is no one-size-fits-all solution. It should be requirement-driven. Both architectures will see their progress. Cloud infrastructure is comparatively matured, while edge requires support from different protocol standards. However, adoptability, infrastructure, security, data localisation requirements and costs will play a very major role. While personally I see robust and rapid growth in both edge and cloud technologies, the market forces may lead to greater focus on edge than cloud. For the sake of simplicity, we may assume that at this stage, data specific to industries will be on edge side till the cyber regulations become mature enough to provide confidence to business leaders. For non-business data from factories or industries, it will be on the cloud side which is already happening. Q. What are the key technologies missing, which when made available, will accelerate adoption of IoT across the globe? Let me put it this way – if something is missing, we would not in any case know of it till that technology is unleashed. I will not say the technology is missing but we need to clearly identify what we want to see through IoT and AI. And one of the primary missing links – not technology per se – is of retrofitting of the legacy instruments to provide meta – data with modern sensors. There are enormous number of opportunities in AI but what extra insights we are getting compared to normal analysis or prediction is still something which need to be defined. So yes, it is not really a technology which is missing, may be the value propositions of adopting IoT and AI are still not lucid and defined enough, which makes adoption and spread autonomous. Q. Any thoughts on where to go edge versus where to go cloud? Both have their applications and will stay. It is not one versus the other – it will always be a combination of the two. IoT is definitely opening up new revenue streams – especially as the cost of data (generation, transmission, storage and computation) continues to get lower and lower. Connected devices and collaborative operations including human–robot collaboration will be the future. That is what defines Industry 4.0 or IIoT. So, it will be wrong to define IoT as a hype or a mere marketing gimmick. Of course, there is a degree of overstatements and commitments, but that always is the case when anything new is in the adoption stage. I would rather say that IoT in many ways is a mature technology which has now burst into public domain with the costs reducing and reach enhancing drastically. I think the GoI is a great promoter of new technologies today. As I mentioned earlier, just see how Aadhaar and all services related to that have redefined both governance and benefit delivery. Today, the Government is working closely with trade bodies like NASSCOM to give greater definition to what IoT exactly is and how the future skills in India can be developed keeping in mind the all-pervasive role that IoT will play. ABB is a strong partner in the GoI initiatives, having signed a SOI on AI with NITI, following up with supporting NITI’s initiatives of AI for MSMEs, contributing exhaustively to NASSCOM’s IoT definition initiatives, etc. The initiatives of the GoI are not limited to evangelisation and talent build up. Almost all Government projects today have a significant IoT component – be it in agriculture, infrastructure, transportation, education, healthcare or in banking. This is leading to a huge domestic market for IoT applications. Remote citizen services: Covering medicine, education, governance, banking, etc. A related field whose potential remains untapped and undefined is around mobility. Talent acquisition, frankly. ABB has been delivering IoT services for more than a decade, albeit under different nomenclatures. But today we have a scaling demand which calls for a huge talent pool – either FTE or through the partner ecosystem. And this is a great bottleneck because IoT sector requires professionals with cross discipline skills across core domain, software and services. There is no easy answer as to how to solve this conundrum. We are heavily investing in upskilling our global workforce, encouraging them to take internal as well as external courses, hosting hackathons, etc. But we realised that this is just not enough as the need of the hour is creating a huge pool in the ecosystem. Thus, we are partnering with institutions, governments, associations, etc., in actively evangelising the concepts, offering thought leadership towards developing a generation of IoT professionals. We have completely changed our approach towards customer engagement. Our current focus is to listen to our customers and become their solution partners. To achieve this, we have adopted what we call Ability Customer Experience (ACE) tool kit, which actively encourages us to work closely with the customer – right at the concept stage to pinpoint their pain areas and then follow it up with pointed solutions that can be both from our standard suite or bespoke, co-created with the customer addressing the focused problems. Once a concept is proved, it moves to the commercial domain and this is complemented by a robust delivery system, which we call the Collaborative Operations, where we integrate and connect the discrete dots to draw the full picture, make the solution prototypes, help productise them through our R&D set up, continuing further through the life cycle with service deliveries – remote and on-premise – for such installations. Q. Who is the key decision maker for you – the technology decision maker or the business decision maker? With whom do you start the conversation – and how do you balance the interests of both types of decision makers? There cannot be one without the other. And in today’s world, we are back to the era of generalists where the thick lines between technology and business are almost disappearing. There is no magic sauce today to attract customers’ attention. The enterprise has to be mapped holistically and then proposed solutions that solve their problems within the costs that the customers are ready to afford. Our company has completed a lot of successful IoT deployments in India. We integrate various facets of operations and provide very accurate predictions which in turn improves the overall operations. We have done these for a varied range of industries – mining & minerals, power generation & distribution, discrete devices like robots, motors, industrial invertors, etc. We are supporting our customers globally from India for some of these deliverables. Well, one easy way is to guide him to his mobile phone and check whether he uses the many public services based on IoT applications – taxis app, phone banking, wallets, etc. – which are very common now and unusual for a decision maker to be completely ignorant of. And then lead the discussions to the next level in the specific areas of application that we are meeting her/him for.